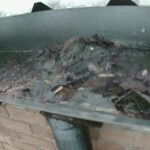 BlogThoughts and musings of a gutter sucker! 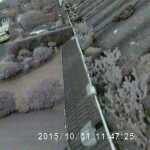 January 2016 has started with plenty of rain which tends to concentrate the minds of home owners who have blocked or clogged gutters. Preventative maintenance is always the best policy. 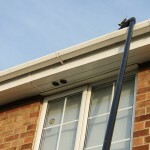 Uncared for guttering can be time consuming, inconvenient and expensive to replace. 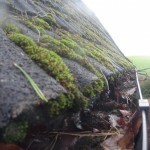 If you’ve got weeds growing from your gutters, it’s time to take action before it gets out of hand. 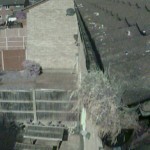 Gravity normally clears the vertical pipe, but all sorts of gutter junk can block the opening where the downpipe meets the roof gutter. 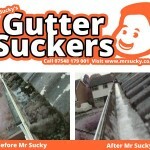 Sucking gutters from the ground using a powerful twin-motor vacuum and and super-light carbon fibre poles makes perfect sense. 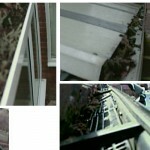 Netting or gutter guards are designed to keep the leaves from cluttering up and causing obstruction in your guttering. Sounds good? Well, in theory, yes.